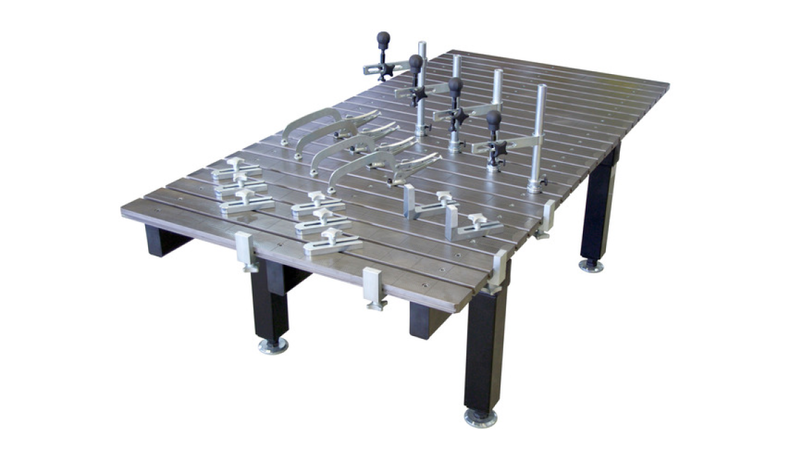 "Förster - 3D-Welding tables" - made in Germany epitomize highest quality, flexibility and long-lastingness with regard to welding. 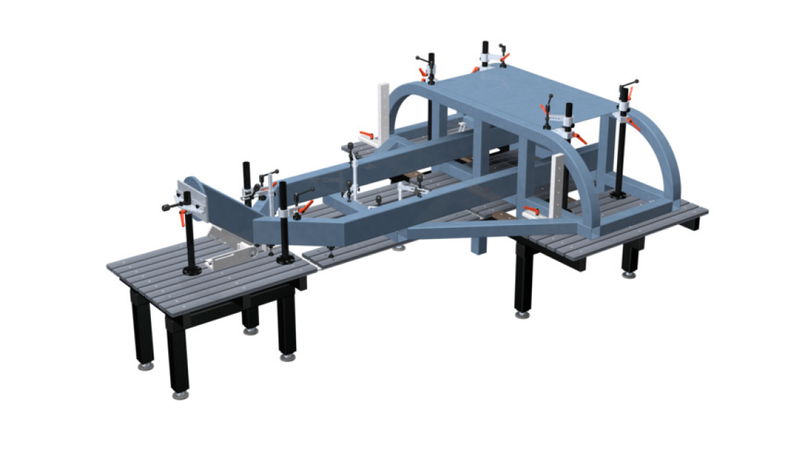 The patent-registered "Förster - Welding Table System", which has been multiply awarded with medals and prices, combines the advantages of a conventional t-slot clamping plate with the special demands made by the welding technology. 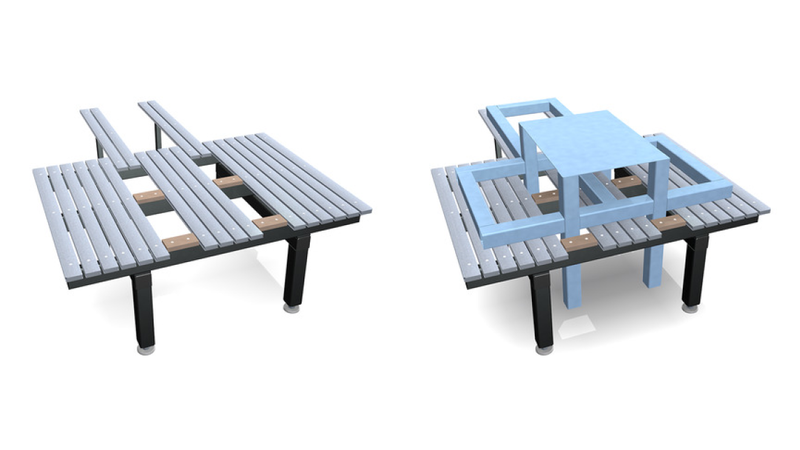 Our t-slot-rails offer the possibility to create any desired table surface and to open certain areas in the table surface in order to be able to put through protruding components. In steel processing, the optimal material for the rough welding production, grey cast iron, is used. 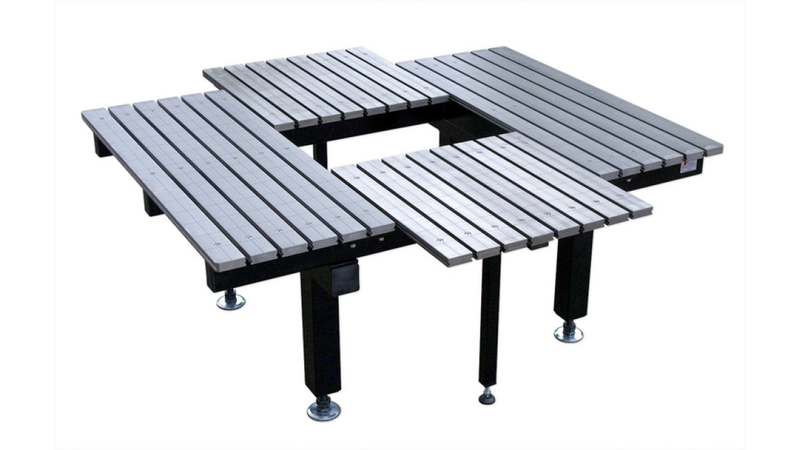 For the sensitive processing of stainless steel, a high tensile aluminium-copper alloy as non-ferritic table surface is used. Thanks to their self-explanatory functionality, the stops and clamping elements are easy to handle.